What are the benefits of RideShare Insurance Coverage? Simply put: peace of mind. The entire time your TNC app is on, your personal auto policy is suspended. Your TNC does provide coverage, but only for the period of time between accepting the passenger and dropping off the passenger (before accepting a passenger, some TNCs may provide limited liability coverage only). No passenger means no coverage for your vehicle and any damages or injuries you may sustain. RideSharing Coverage steps in to cover you between passengers, effectively closing the gap. Why do you need Safeco RideShare Insurance Coverage? It’s simple: you have to be protected while doing your job. If something happens on the road and you have a gap in your coverage, it can be devastating. We don’t want that to happen. That’s why we created this specialized coverage to extend your Safeco auto policy to cover those gaps while you’re working. How much does RideSharing Coverage cost? 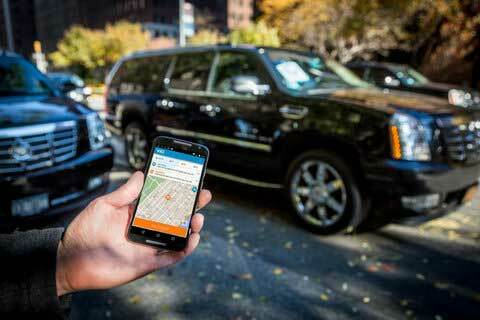 What are the benefits of RideSharing Coverag? Simply put: peace of mind. Always there when you need us. Should you have a claim, you can reach our companies claims departments 24 hours a day, seven days a week. We’re always there to help. Worried you aren't completely covered? Consider an umbrella insurance policy that extends your coverage. You can lower your premium by shifting part of the loss payment to yourself. For example, if you had a $500 deductible, you would need to pay the first $500 of a covered loss. A higher deductibles generally lower your premium, but increase the amount you must pay yourself if a loss occurs. Pay your bill in full when you start or renew a policy instead of paying in monthly installments and you get a discount.